This autumnal event at Killerton Estate near Exeter, this year the National Trust are running a weekend long event to celebrate apple day over the 20th and 21st of October. The event runs from 11am – 4pm both days and is free to National Trust members, otherwise Adult £2, Child £1 and Family £5. Please get in touch if you require any further details. On Saturday 20 and Sunday 21 October, they are hosting a two day National Apple Day celebration in the orchards. There is a long history of cider-making on the Killerton estate and they are passionate about conserving the orchards and keeping this heritage alive. Orchards and old English apple varieties are in decline and our National Apple Day event will highlight the importance of protecting them for both wildlife and the Devon landscape. Nearly 100 varieties of old English apple are grown at Killerton, including the Killerton Sweet and the Killerton Sharp which are unique and originate from a 2,400 acre farming estate. You can follow the orchard discovery trail to witness the 200 year old giant cider press in action, see where the beehives are kept, try the traditional craft of barrel-making with one of the UKs last remaining Coopers and have a go at woodturning using Killerton’s apple wood. 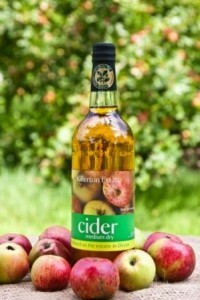 Both the estate cider and new apple juice won a 2012 silver Taste of the West award this year. The cider continues to win the National Trust Fine Farm Food Award which recognises the very best produce from National Trust farms and estates. Throughout our apple weekend, adults are invited to taste award-winners at the Killerton Cider Bar. Take along a bag of your own garden apples to the event to mill and press into a bottle of juice to take home and on Sunday meet an apple ID expert who will help identify varieties of visitor’s home-grown cider apples. Stalls will be selling English apple trees, cider making equipment and books. For our younger visitors there will be village fete games to play, apple face painting and a Bumble Bee March through the orchard. The Killerton Kitchen food tent will serving up hog roast with home made apple sauce, autumnal mulled cider and apple juice and vegetarian options. Sit back and enjoy a picnic lunch amongst the apple trees with live music, apple-juggling, apple folklore talks and a medieval Mummers Play to bless the orchard.